Enter Bombay Bistro; Exit Amelia's. And More F&B News in Shanghai. What’s good, Shanghai? How about new options for Mexican and Indian? A new spot that does fancy coffee and craft beer? The several abrupt closings (it's still Shanghai), including Amelia's first physical location and McD's, selling its stakes in China? Here's what's happening in the food circuit this week. Bombay Bistro, an intriguing sounding Indian spot opened up on Yongfu Lu. Slightly manic-looking Mexican eatery The Cactus "Mexican Cantina" opened a few weeks back. SmSh verdict? It’s not reinventing the wheel but it’s surprisingly decent says resident beard expert Morgan Short. 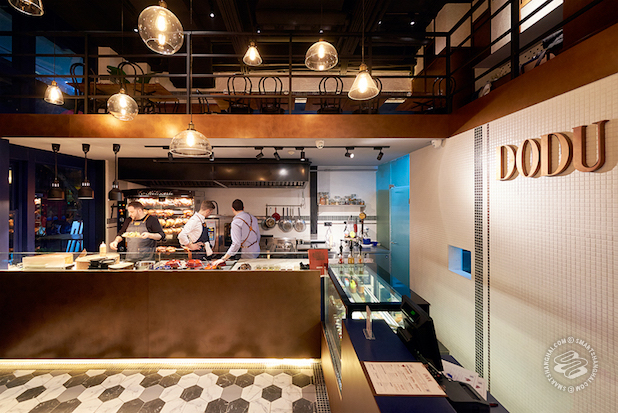 Sleek little cafe La Pluie opened up on Beijing Xi Lu. Their coffee’s decent but of particular interest is the double fridge at the back full of bottled craft beers. Joe’s Pizza opened up on Wujiang Lu in super soft open. Get there a bit earlier if you're looking to try it out. SmSh stopped by last night for a few slices and due to demand, they were sold out around 8pm or so. We already talked about it here. French Rotisserie Dodu opened up, also discussed in the above link. You hadn't heard? Everyone else has judging by the crowds pressing their grubby mitts against the window. File this one under now almost open. Here's the latest on local pop-up restaurateur specialist Nat Alexander's new pizza place Homeslice: "Close, maybe next week. Waiting on furniture and our front door!" Get it done, son. 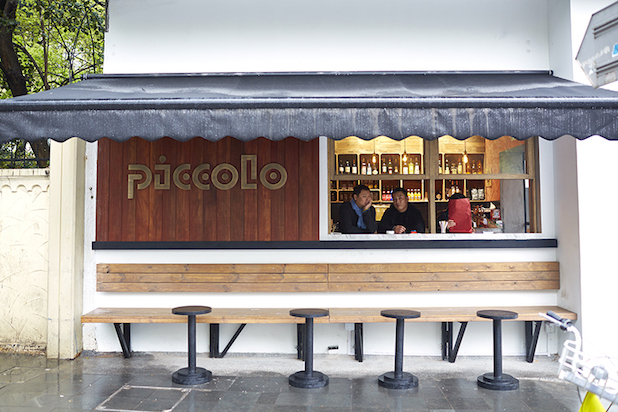 Piccolo from the people behind Gemma shut down last Saturday. They say they’re relocating to a new spot in March. Sadly, Amelia’s first brick and mortar location shut down six months after opening on January 1. They said it was “due to matters beyond [their] control,” in a refreshing break from the “neighbor problems” we’re hearing a lot of. Outpost of British Britishness Mr. Harry has closed its doors. It’s reportedly moving to Jinshan. Best of luck, break a leg old boy. Hat tip to That's Shanghai for the info. Those dudes are all over British-y things in Shanghai. The Loaf closed down. That's all we've got. Paras Coffee closed for renovation until March 25, but they say they’re setting up a pop-up on Xinle Lu to tide you over. We walked past and couldn’t find it, but we’ll shout if we do. In more rotisserie news, Heat French Rotisserie & Bistro is set to open in that Maoming Bei Lu area. Insane-sounding Blackstone Magic Bar in the Foundry has pushed their opening back to late February. A new Bang! by Mr. Willis will be opening in Grand Gateway sometime after CNY, according to Mr. Willis himself. Taoker Restaurant & Bar is opening a Jing'an location -- two stories at Yangping Lu and Wuding Lu. Looks about ready. Bit of an open rumor but we thought we'd pay it forward. After dipping their toes in Shanghai's craft beer scene for a few months now, Australian hopheads Little Creatures are indeed opening a dedicated brick and mortar brew pub in Shanghai in the Suzhou Creek area in… uh, the near future. Details anon. This one's not Shanghai specific but it's Shanghai out there in the world, so we thought we'd let you know anyways. 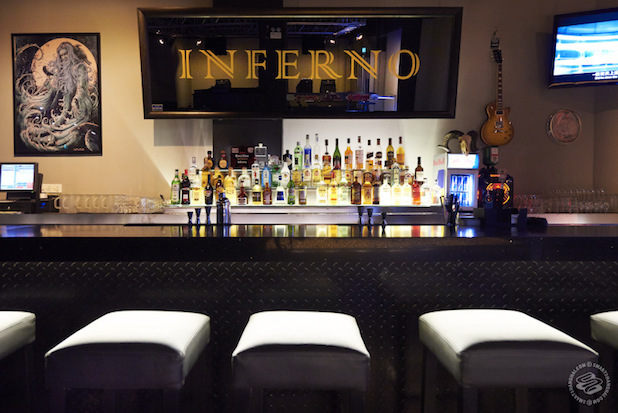 Former owner and founder of Shanghai's beloved metal bar Inferno Martin Aamodt has just opened a Denmark branch of the bar with the same name and same raison d'etre: hailing Satan. If you're ever in Copenhagen (you should go, it’s lovely), make sure you stop in at Ørsteds Vej 63, Stuen, 1879 Frederiksberg to say hi. Congrats Martin. That's it for now. Check back next week for more scandalous, unsubstantiated F&B gossip.